In the 1960’s, the Yokohama technical team discovered a phenomenon that had yet to be explained: hydroplaning. Different demonstrations of this phenomenon attracted international attention and the Yokohama team was rewarded for their efforts. After completing a multitude of tests, Yokohama increased the number and approximation of sipes on the surface of the tire tread and they added ribs on the side to allow the water to disperse more easily. In 1984, Yokohama consolidated its tire-related activity in Europe, the USA and Japan with the Japanese group Sumitomo. Later on in 1999, Sumitomo and The Goodyear Tire Rubber Company finalized a global partnership. Today Yokohama Tire forms part of the Goodyear Tire Group. The Yokohama Tire Group works with many different original equipment manufacturers in Japan, Europe and across the Americas, more so than any other tire company. Some of the manufacturers that use Yokohama tires as original equipment on their vehicles are: Audi, Aston Martin, BMW, Honda, Jaguar, Mercedes-Benz, Mitsubishi, Nissan, Porsche, Renault, Toyota, Volkswagen and many others. Yokohama tire offers winter tires for cars that provides excellent traction on ice and good traction on snow. The Yokohama also offer a studless tire that suits SUVs, vans and pick-up trucks. On May 30, 2010, Antoine L’Estage and his navigator Nathalie Richard, Quebec’s forerunners in Canadian rallies, have successfully tackled icy and strenuous driving conditions in order to win the Rocky Mountain Rally, second round of this championship. Both Yokohama teams, L’Estage (Mitsubishi Lancer Evo X) and Pat Richard (Subaru WRX STi), have been able to take advantage from their specialized Yokohama tires in order to tackle difficult conditions that have been a true challenge for both pilots and organizers who had to achieve the impossible in order to install their officers and intervention personnel throughout the different stages. Several of them had to be cancelled. 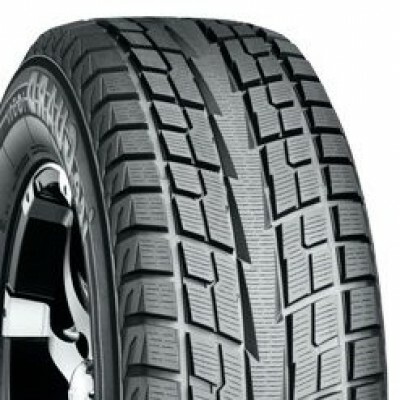 This stands for proof: in harsh winter conditions are an important aspect of winter tire manufacturer Yokohama. Yokohama has a new environmentally-friendly tire, the Avid Ascend. Yokohama has a wide range of summer and all season tires designed for all vehicle types: sedans, station wagons, sport coupes and SUVs. Yokohama has different models of summer and all season tires that are known for their traction in wet and dry conditions. 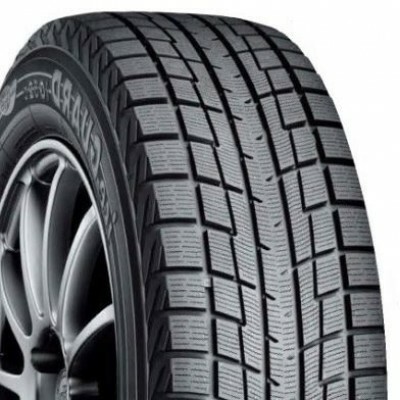 Yokohama makes good quality all season car tires, like the Avid ENVigor and the Avid Touring S. They also have all season tires for sport utility vehicles, such as the Geolandar A/T-S and the Geolandar G051. In the Yokohama summer car tire category, you will find the Advan ST and the SDrive, both high-performance and available in different sizes. Yokohama offers a complete range of tires for trucks, vans, pickups and jeep 4x4s for all different uses. Yokohama has all season tires for long hauls, city driving or commercial use, as well as off-road tires and even summer performance tires for light trucks. Yokohama’s on-road tires for SUVs, like the Parada Spec-X, and the all season tire for light trucks, the Geolandar HT-S G051, both offer good durability. Yokohama’s on-road and off-road tires, like the Yokohama Geolandar AT-S, give good traction in difficult conditions, including on asphalt roads. The mud tire Geolandar MT + fares well on rocky terrains and is great for truck, pickup or jeep 4x4 drivers. Yokohama has been involved in car racing for a very long time. In 1902, Yokohama Tire won its first victory in the Paris-Vienna race. Throughout the years, Yokohama Tire has equipped many prestigious racing cars with their tires, some of which are: Audi, Bentley, Ferrari, Jaguar and Porsche. From 2003 to 2010, Yokohama was the exclusive supplier for the Australian V8 Supercar Championship and, from 2003 to 2005, the official partner for the British Touring Car Championship. Yokohama’s most noteworthy competition results were when they won 34 victories at the 24 Hours of Le Mans Competition, which takes place in France on one of the longest circuits in the world. Yokohama Tire offers a wide range of high-performance summer and all season tires that have excellent traction in wet and dry conditions. Yokohama high-performance summer and all season tires are great for cars and, in certain sizes, for sport utility vehicles and pickup trucks. Yokohama’s selection of very high-performance summer tires for cars includes the S Drive and the Advan Neova AD08. Yokohama also has the Parada Spec-X for those SUV owners that love great performance. In general, summer performance tires offer better traction than all season performance tires, but tend to be a bit less durable. Yokohama also has high-performance all season tires for cars, like the new Avid Ascend and the Avid EnVigor, both are efficient in temperatures as low as -7 degrees Celsius and are more durable than summer performance tires. Yokohama tires are original equipment on the following vehicles: Nissan 350Z, Subaru WRX, Audi A6 and A8, BMW Z8, Honda S2000, Porsche 911 and Boxster, Ferrari, Aston Martin, and many more.